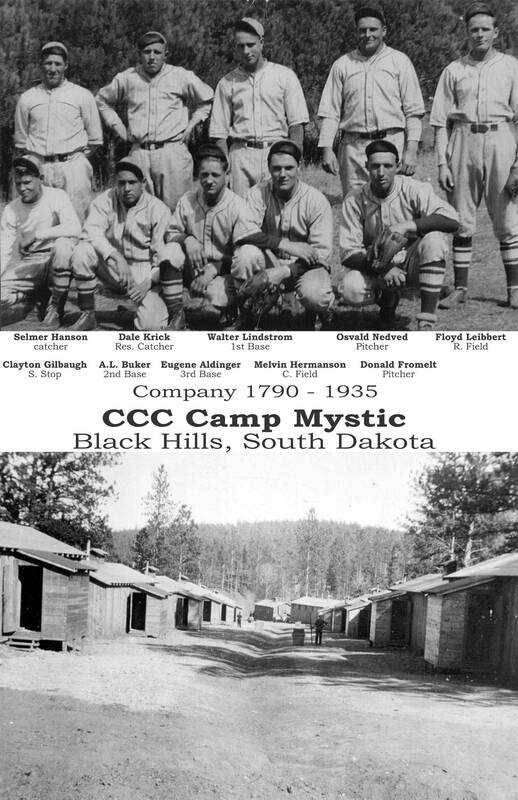 CCC Camp Mystic Baseball Team is something you should read. 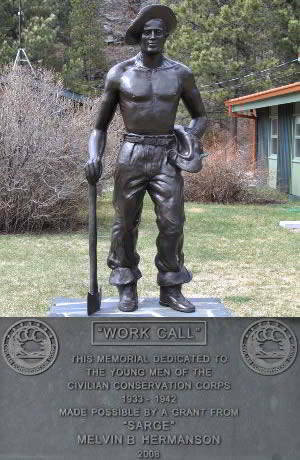 In 1935 Company 1790 was at Camp Mystic in the Black Hills of South Dakota. The baseball team was made up of Selmer Hanson, Dale Krick, Walter Lindstrom, Osvald Nedved, Floyd Leibbert, Clayton Gilbaugh, A.L. Buker, Eugene Aldinger, Melvin Hermanson, and Donald Fromelt.